The shutter table is available for sale at Camelot Village! I have it priced now at $89.99. I started a small square end table this week. 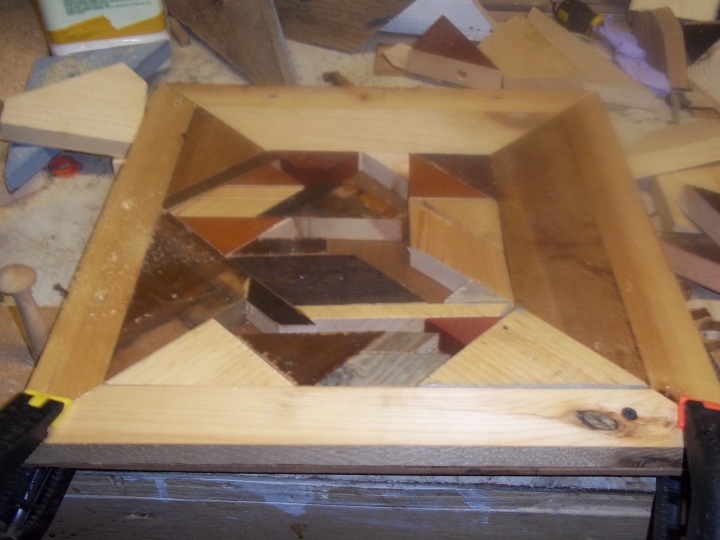 It’s 15″ X15″ and i have a few more pieces to dry fit before I start glueing. I have also made progress on the other mosaic table I have been working on Since May. For some reason the May table has been hard to dry fit. It’s funny, sometimes they come together very quickly, and other times not so much. 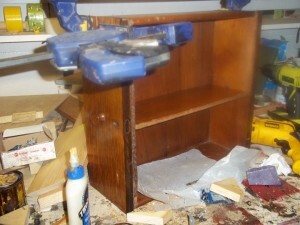 I have also been working on more repurposing projects. I used chalk paint to cover an old desk drawer into a shelf and I took some really cool oak drawers and they will also be a shelf. I think I have mentioned that I participate in something called FAWM every february. Fawm is a challenge to write 14 songs in 28 days. It’s great fun and really pushes my creative limits. FAWM has a sister site called 50 in 90. Which as you probably guessed is a song writing challenge to write 50 songs in 90 days. I signed up last year but didn’t post a song. Music generally takes a backseat to other things for me during the summer but I wrote a song today so I posted it to the my 50/90 page and I thought i would share it here too. It’s called Still sitting in this Room. I am not sure I will churn out 50 songs but it’s fun to to play and share music so who knows. 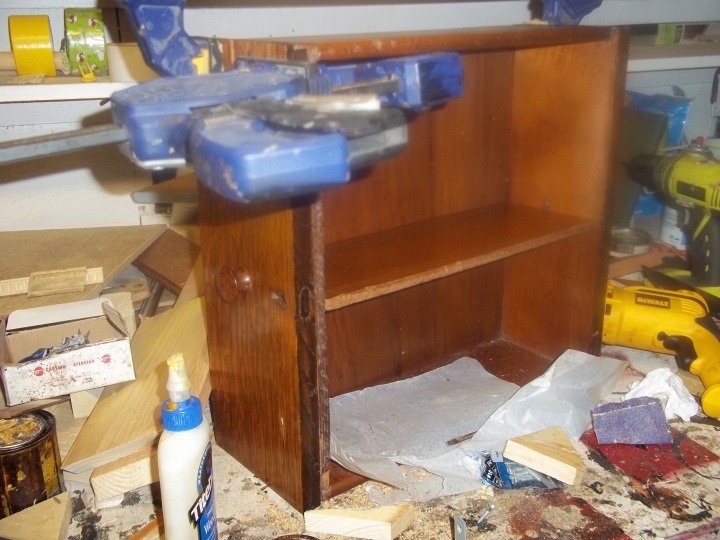 This entry was posted in 50/90, music, scrap wood, tables, tables for sale by brighid. Bookmark the permalink.